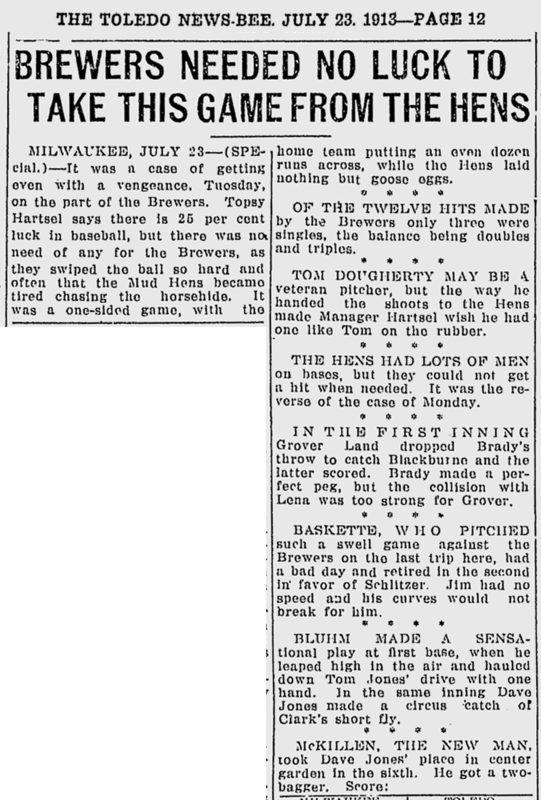 One hundred years ago today, the papers were filled with the news of the Brewers' most recent victory over the Toledo Mud Hens. The Brews were avenging a 6-1 loss to Toledo the day before, and brother, did they ever. 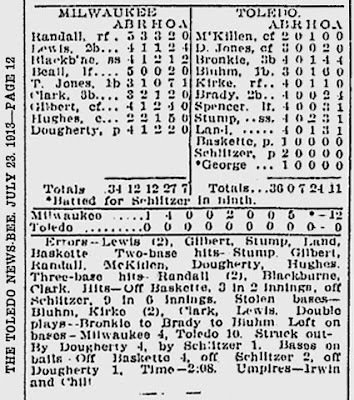 Behind a masterful performance from right-hander Tom Dougherty on the mound, the Brewers cruised to a 12-0 win. Toledo was able to make contact, but Dougherty still controlled the game. 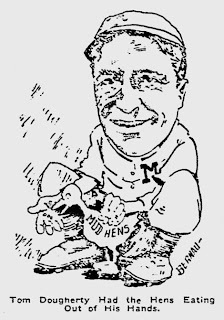 The Hens got eight hits, but only once did they get two in a single inning, and that was the seventh with the Brewers already up 7-0. The Brewers, on the other hand, made theirs count. 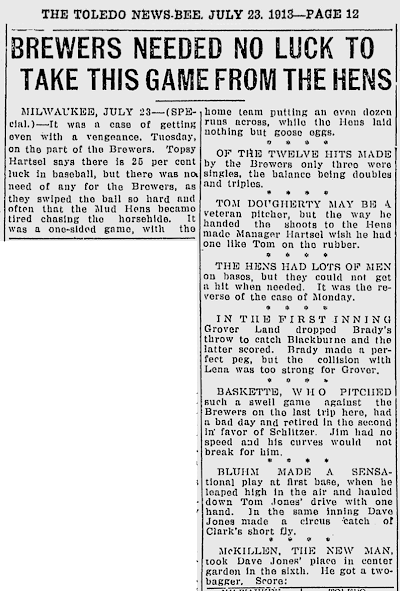 Their twelve runs came on twelve hits, nine of which were for extra bases. Dougherty himself hit a double. Their honor regained, the Brewers packed their bags for a road trip beginning in Kansas City. 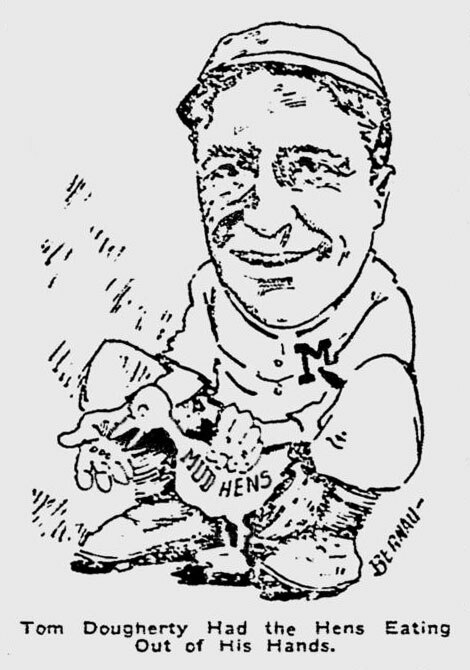 The Blues had been a thorn in the Brewers' side, taking nine out of their last thirteen games, but manager Pep Clark's boys were determined to turn that streak around. If they wanted to win the American Association pennant, they'd need to.